Could you use roadside assistance in Walnut Creek? Getting stuck on the road isn’t a pleasant experience. Not only can it be inconvenient, but if you’re on a busy street or the freeway, it can be extremely dangerous. With so many cars coming by at fast speeds, you want to minimize the time you’re stuck. Towing is an option, but what if you only need a jump start? B&D Towing can help with either. We offer roadside assistance in Walnut Creek along with our towing services to help get you home in the most convenient way possible. Be careful! On narrow or busier roads especially, you should always stay in your car. Our qualified professionals are well-equipped for any situation and will set up safety equipment like emergency road triangles to make sure that traffic is aware and on guard. This helps protect you and your vehicle and allows us to have a safe space to assist you. Need a little nudge to get home? Give us a call at (925) 326-6788 and tell us what’s wrong and we’ll tell you if you need a tow or if we can help with roadside assistance. When you have a simple problem, we’ll try roadside assistance before resulting to towing. But if you end up needing our towing services, we’ll make sure you’re taken care of. With a large fleet of vehicles including light, medium, and heavy duty tow trucks, we’re ready for any of your towing needs. 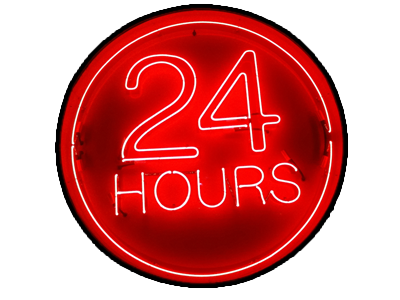 And our emergency towing and roadside assistance services are available 24 hours! If we aren’t able to help with roadside assistance, we can tow your car home or to the service shop of your choice, whatever you’d like. We even have recommendations of honest mechanics on hand! Our versatility, speedy service, and dedication to your safety are the best around!